Though, if I thought it would help return Sherlock to its original genius, I’d consider donning a tasteless purple Klu Klux Klan outfit and, for no apparent rational reason, meet “secretly” with other fans at an abandoned, de-sanctified church lit by bonfires viewable throughout the countryside in the wee hours chanting nonsense words (rhubarb, rhubarb, rhubarb). It says something when I found the psychopathic young woman pretending to be an abducted child episode of “Elementary” not only more faithful to the spirit of Sherlock Holmes but more enjoyable (even with the unnecessary Watson soap opera subplot). 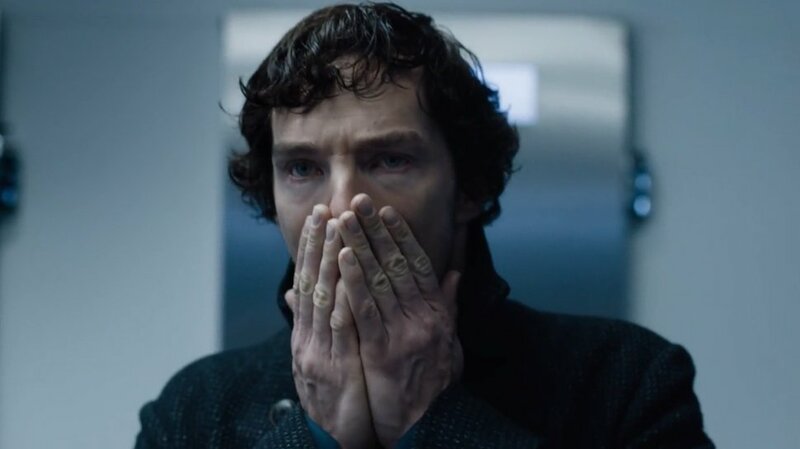 I’m still working my way up to some reviews of the Sherlock Holmes pastiche novels I‘ve been reading, but work and life have been getting in the way. And to be honest, what’s happened with BBC Sherlock, Elementary and the news of a re-boot of the Robert Downey, Jr.-Jude law version (something completely unnecessary except for greed and the short attention span of much of today’s audience), combined with some of the appalling fiction using characters named “sherlock” and “Watson” but bearing no understandable connection to Doyle’s creations, has left me disinclined to spend much effort on the site. Sorry about that. Perhaps I’ll feel better after I get through re-reading the Canon this year. I do wish you a New Year filled with Peace, Prosperity, Joy, Good Health, Happiness, and some stimulating puzzles to solve. Understandably the current state of the outside world is enough even to distract the biggest of fans from the object of their attention, and while I know that you’re no longer a fan of the BBC Sherlock – as many people I see you think it’s been circling the drain for a while, and are more than entitled to that opinion – I take it you’re still a fan of Sherlock Holmes as he was originally written. Still, the state of the world is enough to tear anyone away from things they enjoy in order to focus on the absolute mess that is current political, economical and sociological disaster occurring. I’m not here to get into that though, lamenting – while somewhat cathartic – will do no good. I’m actually here to ask about the continuation of the Holmes boys series. While the show itself is dwindling in quality, I’ve been feeling rather sentimental and returned to the first fan fiction I ever read in Sherlock. I was just wondering if it was a decisive ‘no’ on continuing it, which of course would be understandable, but I just can’t help but ask. Again, thank you for the kind words and your support! Oh, and I hope to get some more non-BBC Sherlock material up this fall, because I’m still a fan of Sherlock Holmes.